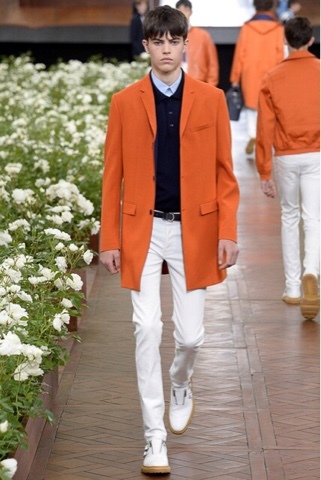 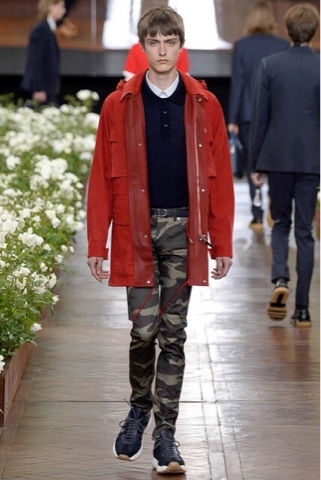 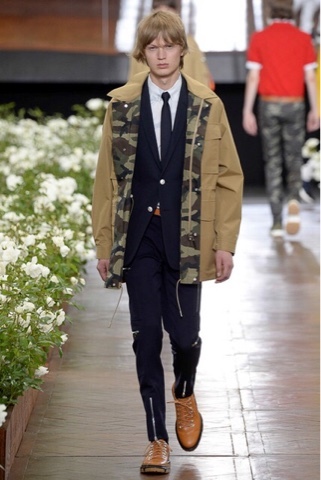 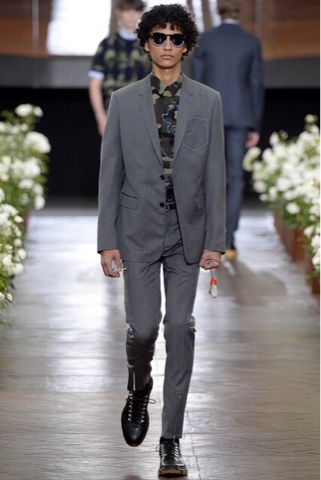 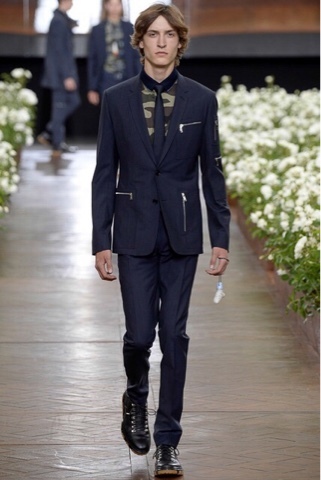 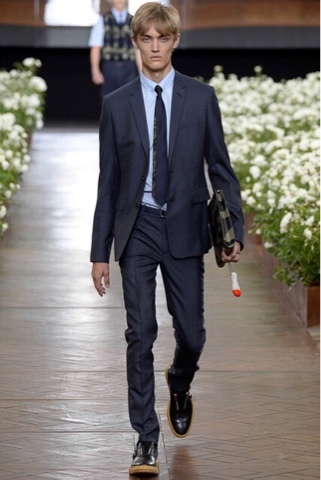 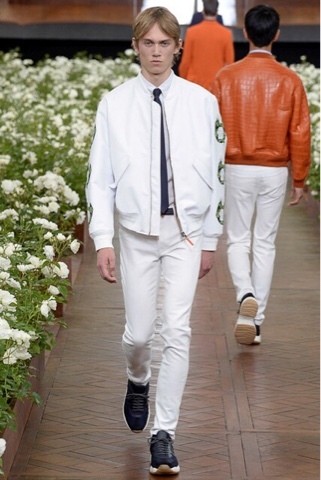 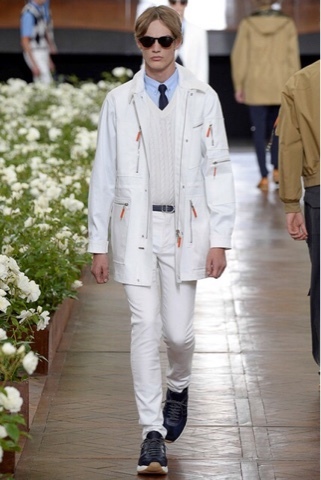 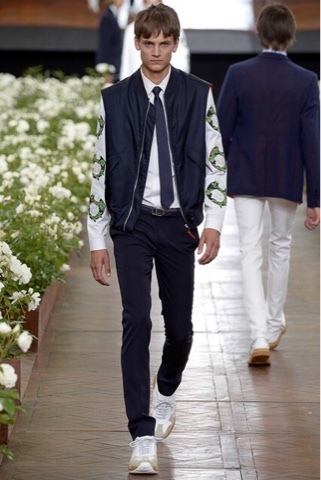 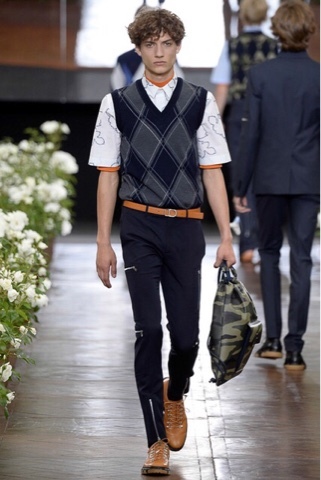 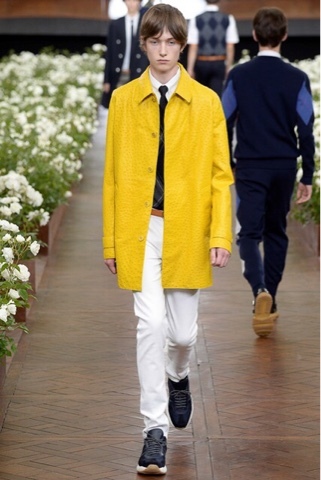 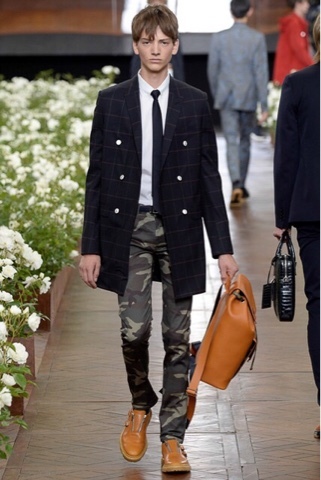 The Dior Homme show was preppy with a dash of toughness. 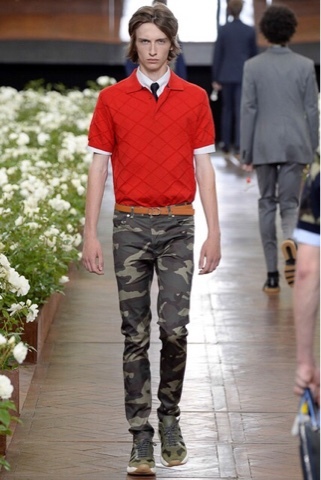 They showcased argyle sweaters with camo pants and suiting with tons of zippers and side pockets. 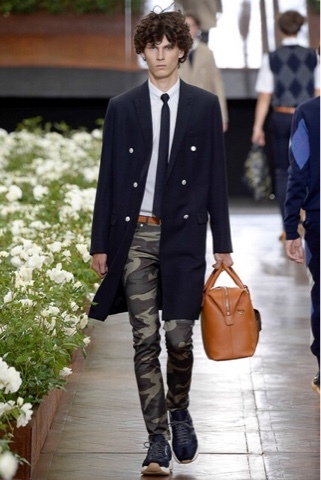 It was styled casual but the pieces were definitely far from it. 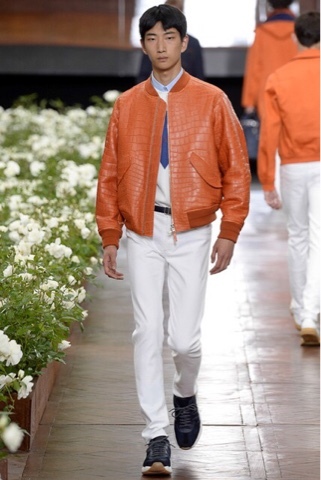 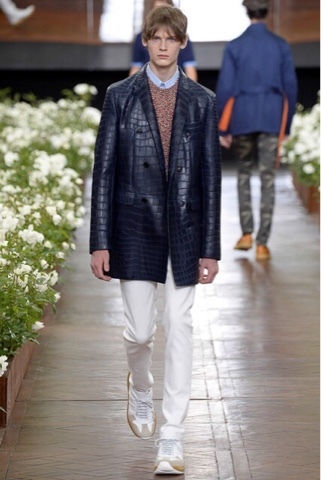 With croc bomber jackets, croc top coats and tan leather bags, the luxury was prevalent. 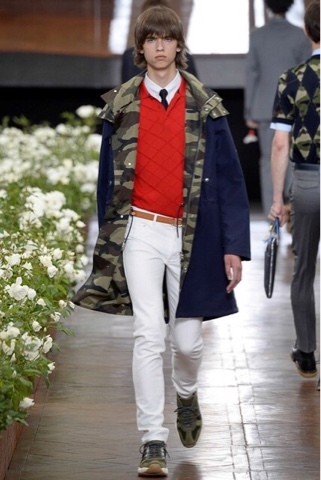 I loved almost every outfit, they were styled perfectly. 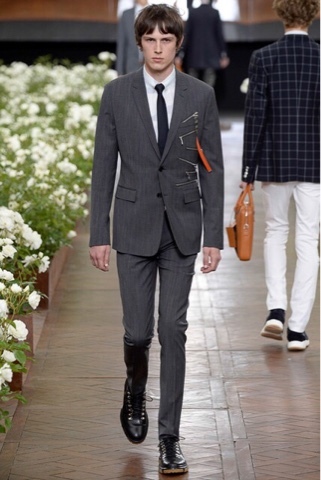 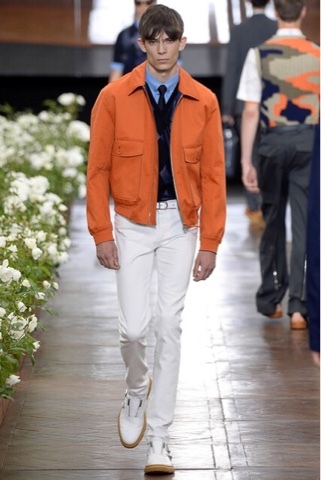 What was also cool were the reinvented suits with all the zippers to add a little edge to the preppy looks. 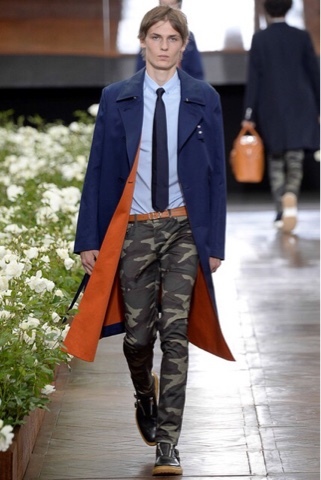 Some of my favorite pieces are the camo skinny pants, the leather croc bomber, and the oversized tan coat with the camo lining.